William Fitzhugh was born on February 18, 1915, in Temple, Texas. After graduating from the University of Texas, he entered the Aviation Cadet Program of the U.S. Army Air Corps on November 21, 1940. 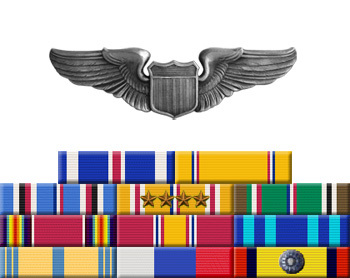 Fitzhugh was commissioned a 2LT and awarded his pilot wings on July 12, 1941. He was assigned to the 17th Bomb Group from July 1941 until he was selected for the Doolittle Mission in February 1942. Lt Fitzhugh was the Co-Pilot on the second B-25 to take off from the aircraft carrier USS Hornet on April 18, 1942, and after bombing Tokyo his crew flew to China and crash landed with no injuries. After the raid, he remained in China and flew combat missions with the 11 Bomb Squadron from June 1942 to May 1943. His next assignment was with the 93rd Ferrying Squadron from July to November 1943, followed by service as a Flight Test Officer, Production Inspection Officer, and Maintenance Officer at Brookley Field, Alabama, from December 1943 until he was released from active duty on July 10, 1946. Maj Fitzhugh remained in the Air Force Reserve until August 4, 1955. He died on August 31, 1981, and was buried at the Mobile Memorial Gardens in Mobile, Alabama. For extraordinary achievement while participating in a highly destructive raid on the Japanese mainland on April 18, 1942. 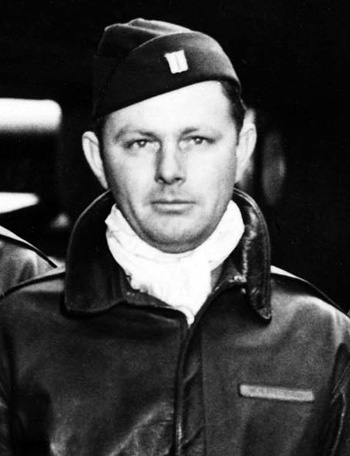 First Lieutenant Fitzhugh volunteered for this mission knowing full well that the chances of survival were extremely remote, and executed his part in it with great skill and daring. This achievement reflects high credit on First Lieutenant Fitzhugh and the military service. 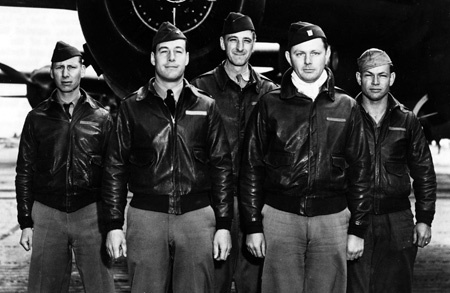 Crew 2 of the Doolittle Raiders, left to right-Lt Carl R. Wildner, Lt Travis Hoover, Lt Richard E. Miller, Lt William N. Fitzhugh, Sgt Douglas V. Radney.